78% of Covington township residents lived in the same house 5 years ago. Out of people who lived in different counties, 83% lived in Michigan. 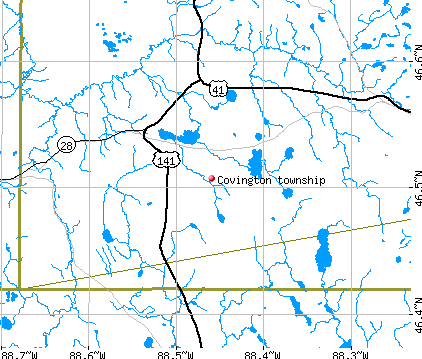 78.1% of residents of Covington township speak English at home. 2.0% of residents speak other Indo-European language at home (100% speak English very well). 19.5% of residents speak other language at home (79% speak English very well, 17% speak English well, 4% speak English not well). 81 married couples with children. 10 single-parent households (9 men, 1 women).